Just love your site! 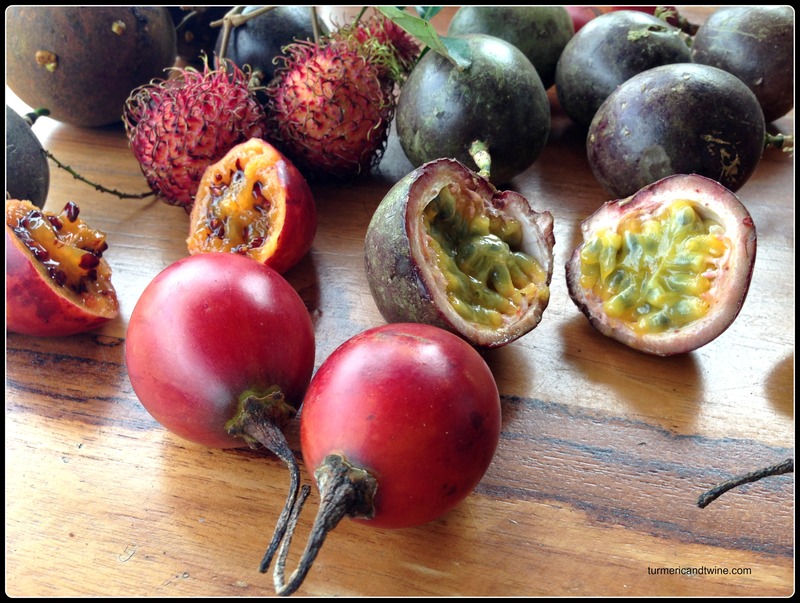 The smooth red fruit is called ‘tamarillo’…great name, isn’t it, to go with ‘mangosteen’ and ‘rambutan’! Thank you, Shelley! 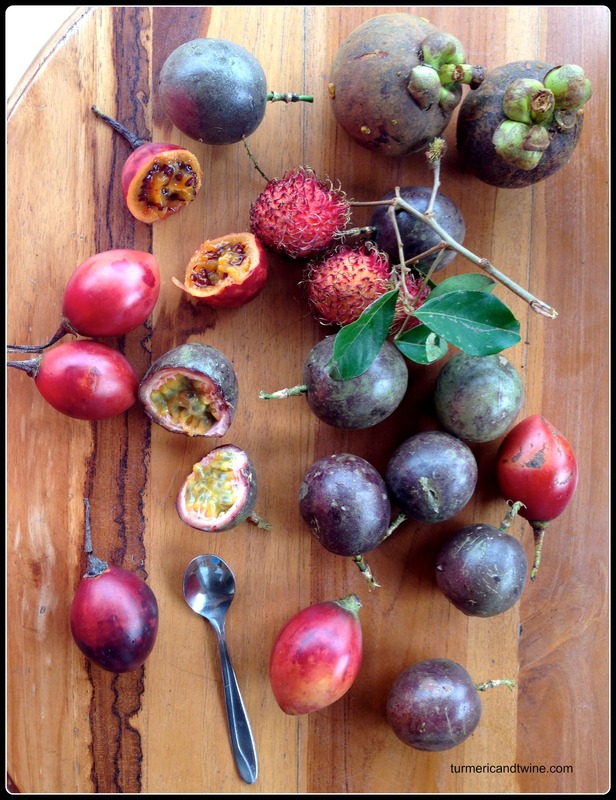 Tamarillo is a great name and an interesting fruit!